Pellet packing machine (combined feed for animals, polymer granules, building materials) - SKB "Parus"
Automatic line is designed for packing pellets or other granulated products (polymer granules, building materials, etc.) in three-seam bags with their formation. 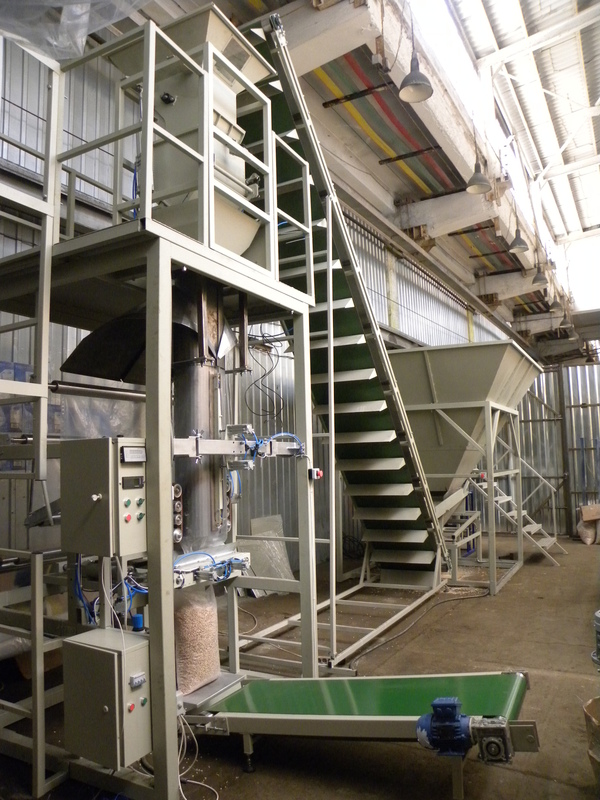 Line provides the ability to fill the storage hopper with a product (from big bag or silo) and its transfer into the feed hopper of automatic filling machine. 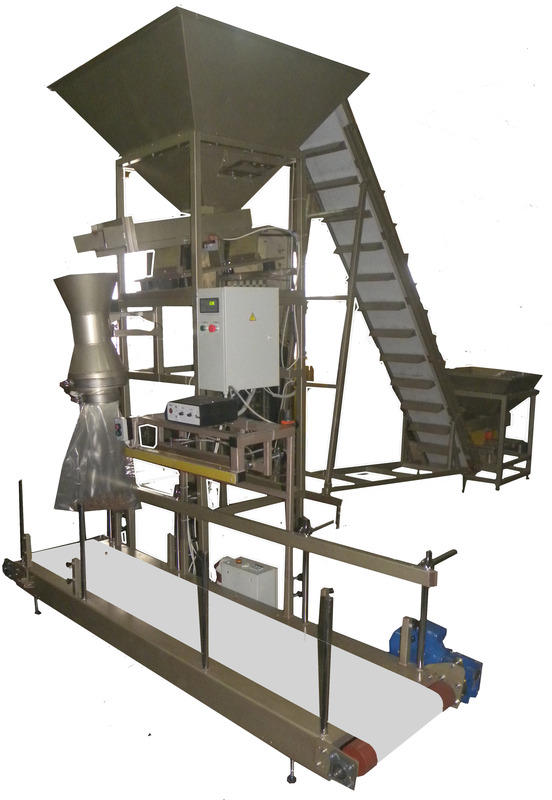 Semi-automatic line is designed for filling and packaging pellets and other granulated products (combined feed for animals, polymer granules, building materials) in the bag (polymer film bags). Bag sewing machine / sealing device. During unloading of trolley, charcoal is coming out of the kiln without using intermediate containers. Connection - 380V/50Hz, 6 bar.